You like black color, don’t you? 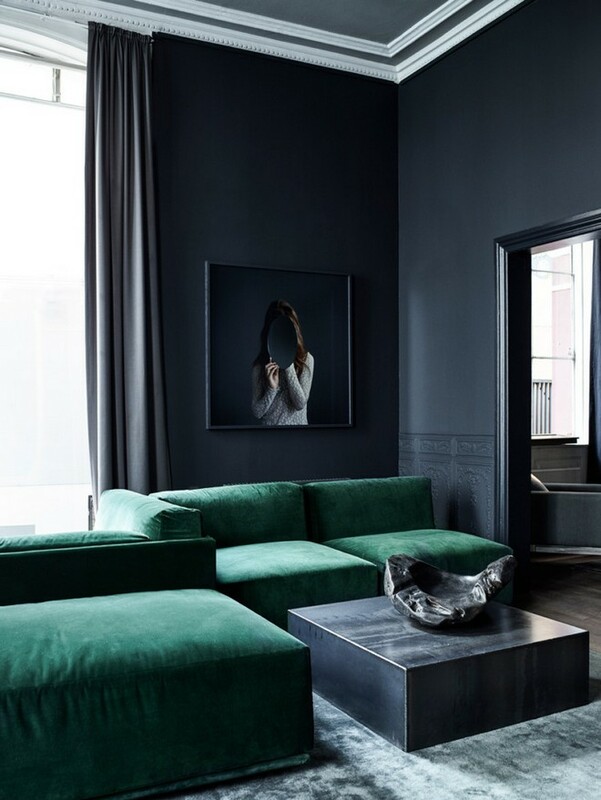 And you dream about having much black in your home interior, but still can’t dare on black walls, since you don’t know if you can live within them? 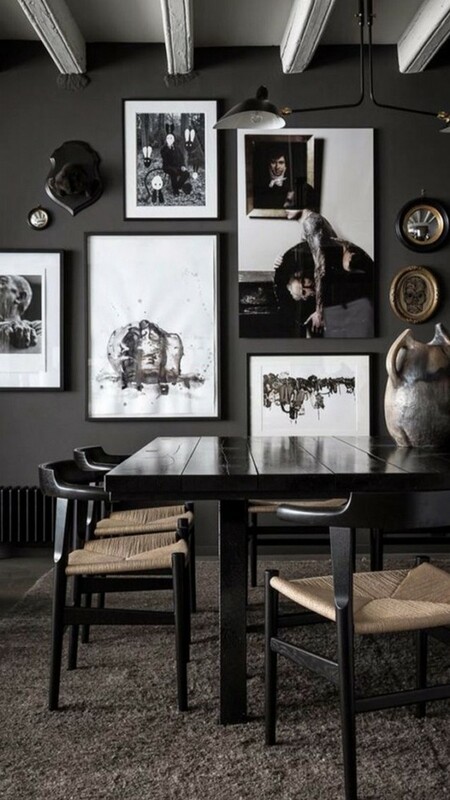 Have a look at our collection of interiors and finally realize that black walls are just gorgeous! 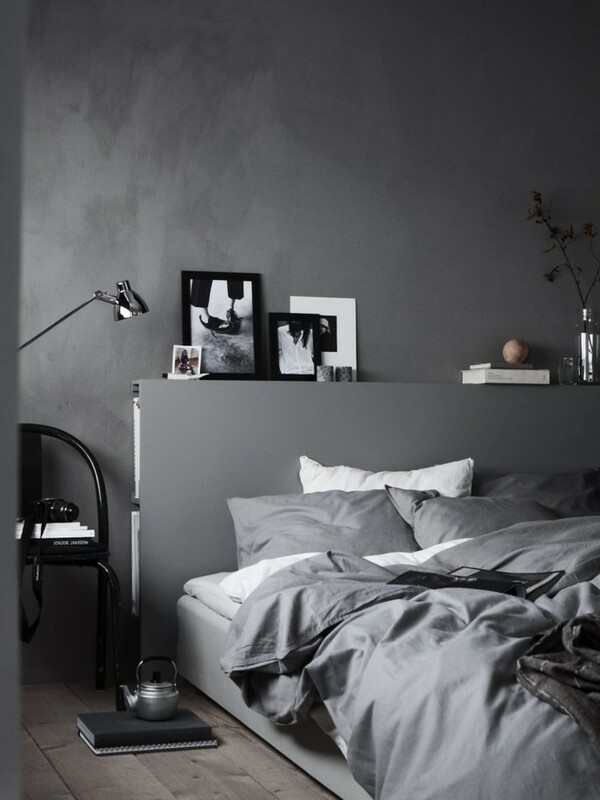 Black bedroom interior helps to fall asleep, but won’t cheer you up in the morning. 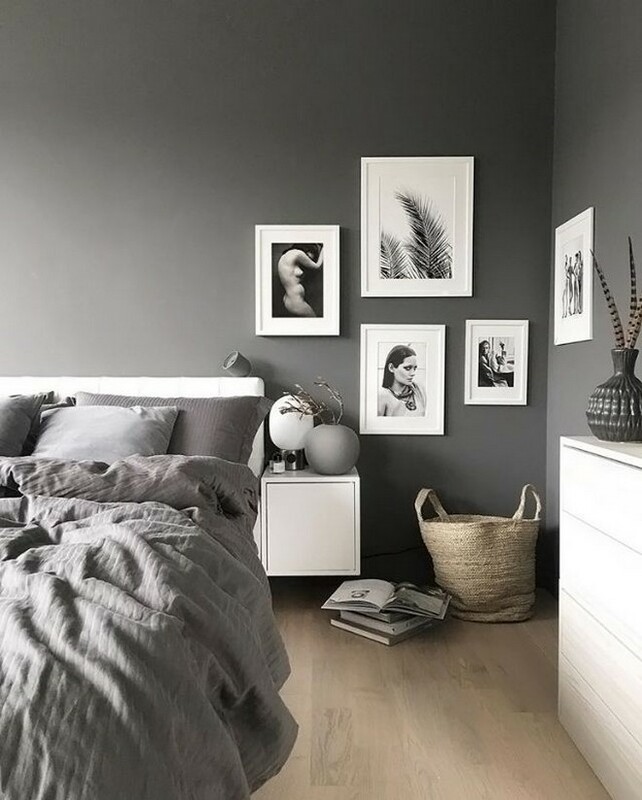 If you are an early riser and get up easily in the morning, but have difficulties unloading your mind at night, then black walls will be useful for you. 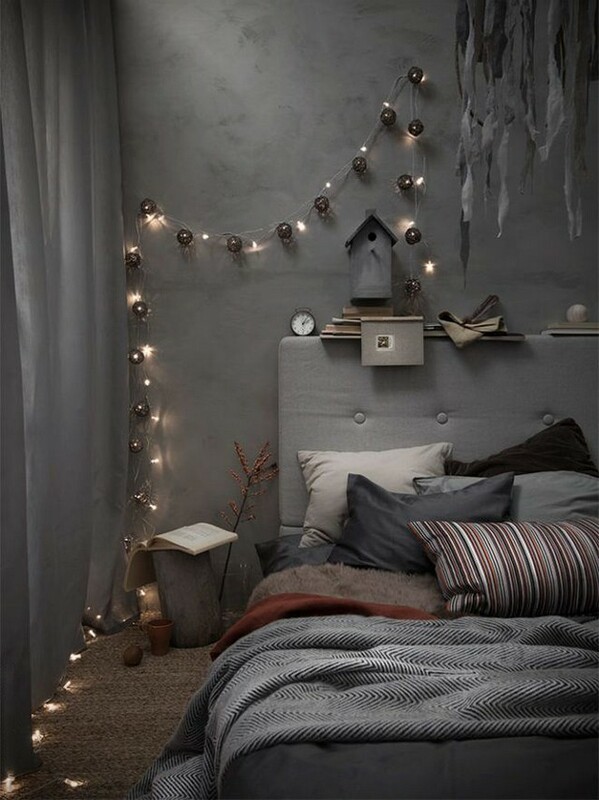 And if you stay awake till midnight and even later and hardly open your eyes in the morning, after the alarm clock rings 7 times, then you should consider a different wall color for your bedroom. And a black WC interior is a win-win option! And even the size of the room doesn’t really matter: the darker the walls are, the cozier you will feel there – this fact is verified by numerous volunteers. 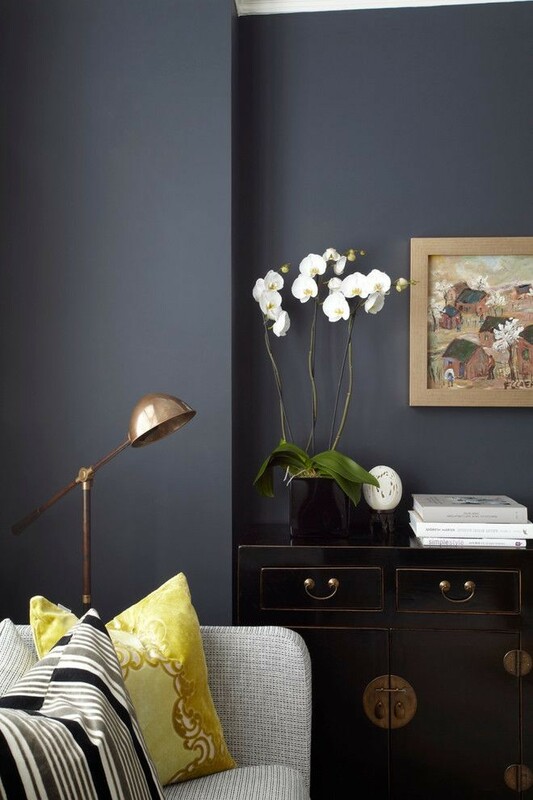 In order to feel safe you’re not supposed to turn your apartment into a black box – just a couple of walls painted anthracite in the living room would be enough to reach the desired effect. 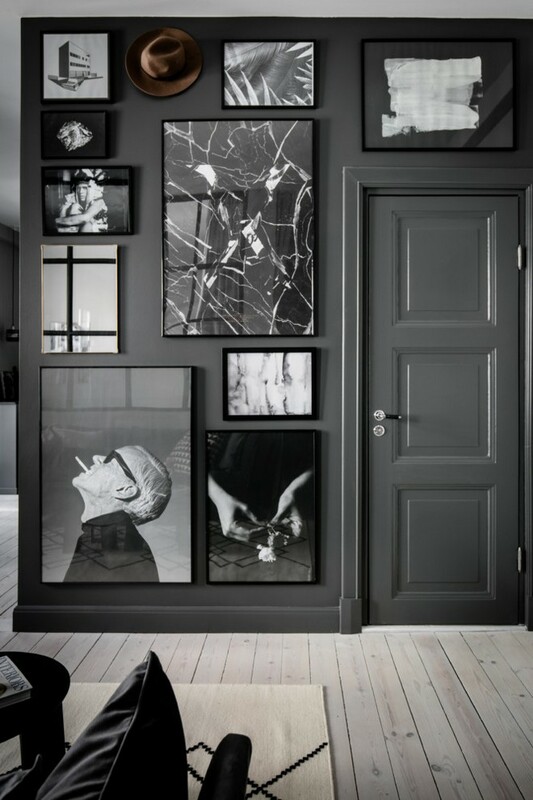 As for the décor of black interiors, the most spectacular effect is produced by black-and-white photos and engravings in contrasting white frames. 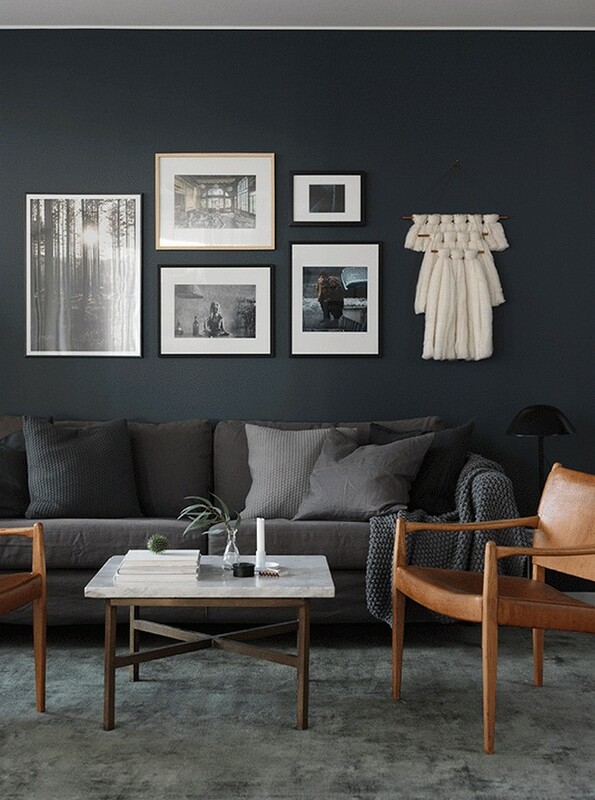 Naturalistic colors perfectly blend with black interiors – you may safely choose brownish, greenish and bluish hues. 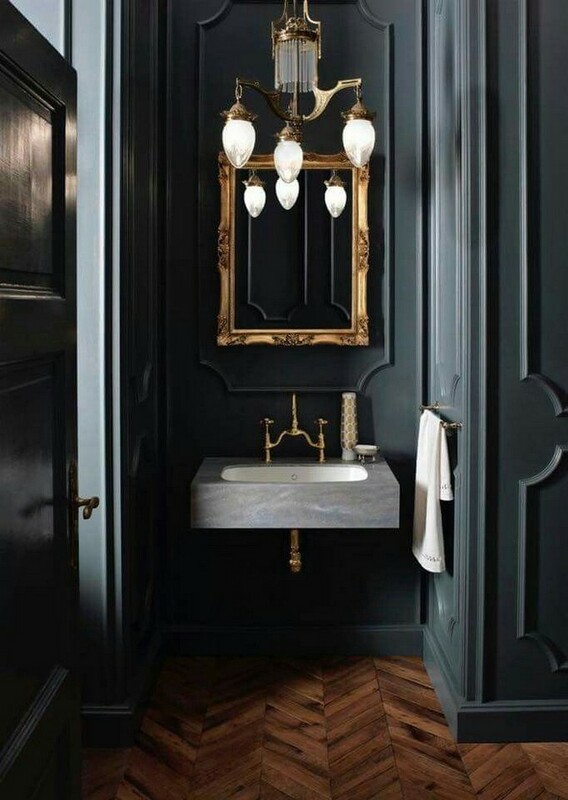 Perhaps, the idea of black décor will take you over completely and you’ll feel how joyful it is to pick out interior details within a limited color range. 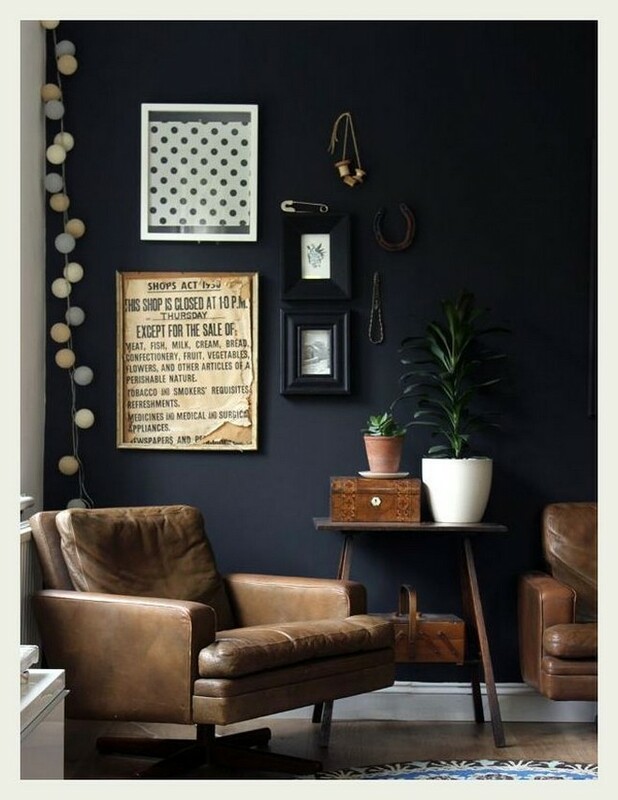 Black walls in windowless rooms may hardly bring positive emotions, but if you can’t resist this temptation, you may paint just a part of the wall this color, like the hosts of this entrance hall. The right lighting system is vital for black-walled rooms, and holiday lights can be very good. If you’re keen on photography, pencil drawings and collecting engravings in wood, you’ll never feel bored in a black room. 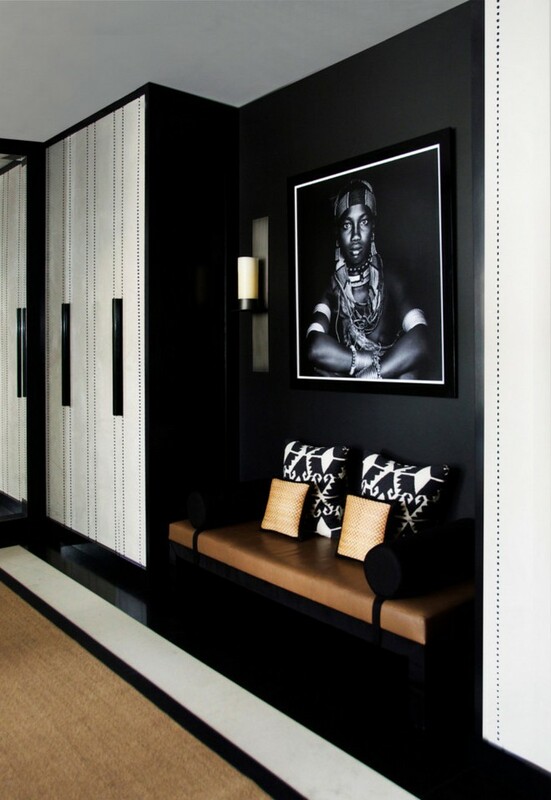 To our mind elegant moldings look absolutely stylish against the background of black walls. Black walls and white floor are as ever-good as black trousers and a white shirt. 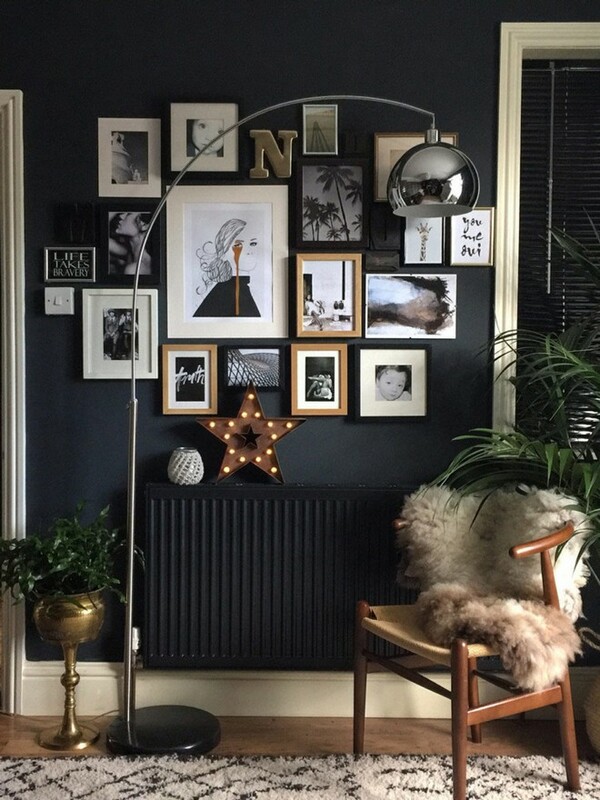 Don’t forget about the radiator, when painting the walls black. 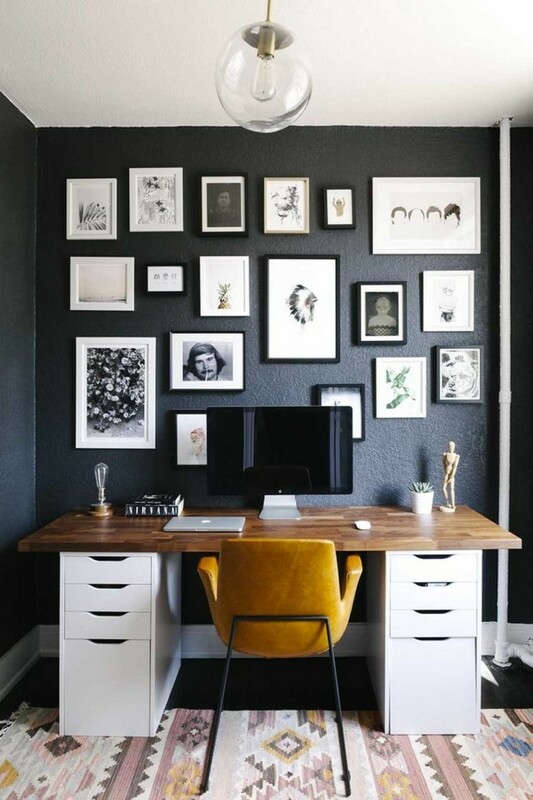 Black walls accentuate any contrasting pieces of interior better than any other color in the palette. 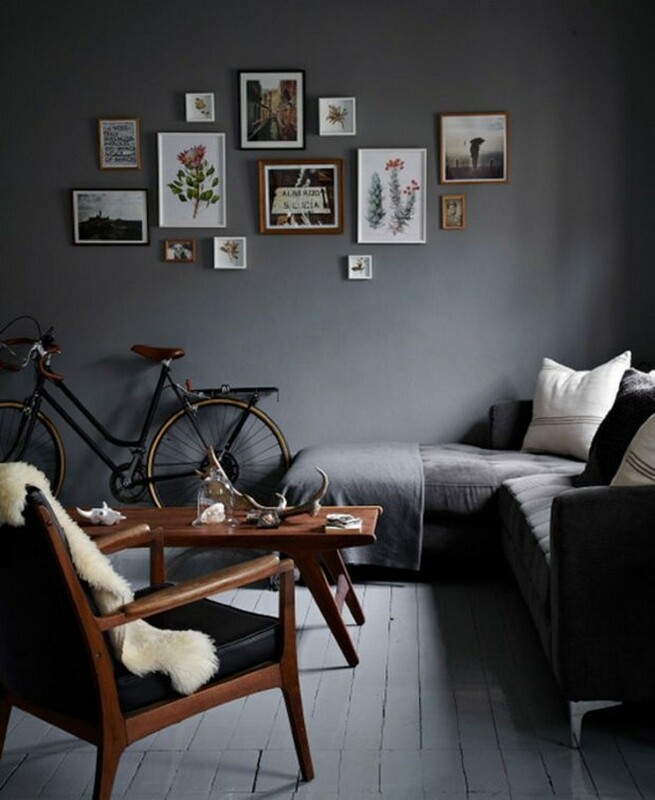 Furniture in absolutely any style looks splendid against black walls. 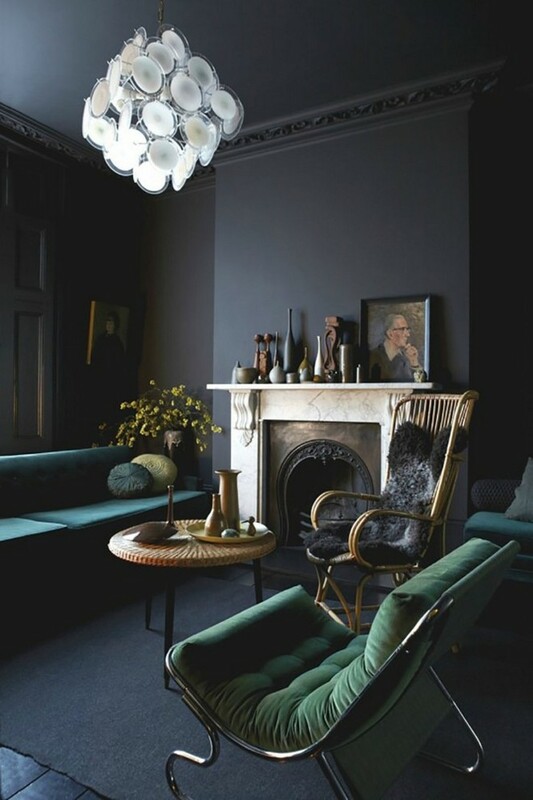 There’s no problem in setting gothic mood within black walls – just add furniture slip covers of saturated deep shades. And again we see fascinating contrast of white details against the background of black walls. 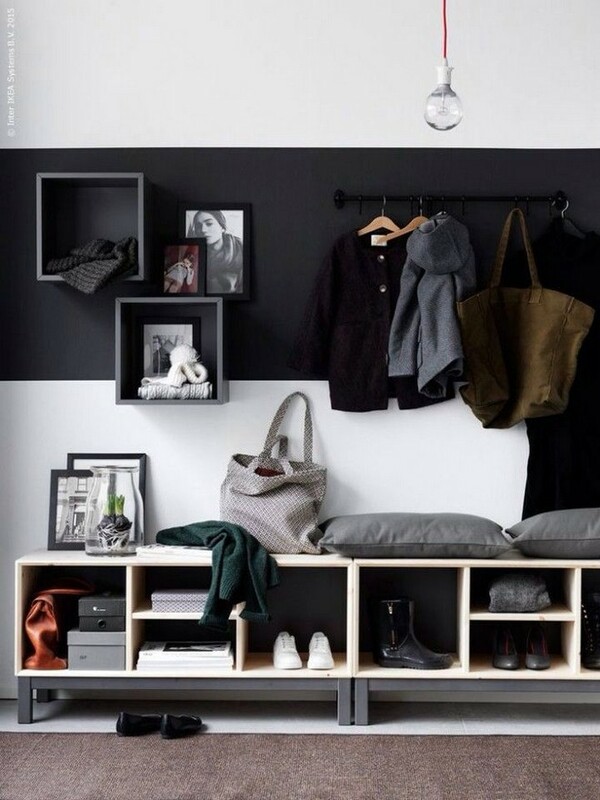 Try to introduce black color to your home starting from just one wall – in a corridor or hallway, for example. 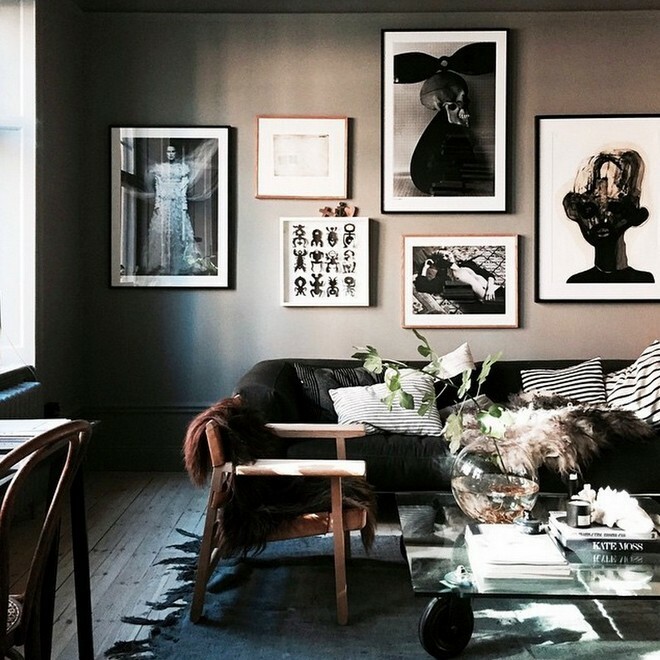 Choosing proper décor for black walls is like art. Compromise is on the most challenging and wonderful things for almost any family: she likes wood, he loves anthracite… What are they supposed to do? Professionals recommend designing work areas in versatile shades of green. But practice shows that black walls work well as well!